Never before has an assassination been photographed from start to finish: from the happiness in the Ambassador Hotel Ballroom to the hell that awaited R.F.K. in the kitchen. No matter what words are said, photographs don’t lie. Harry Benson’s photographs convey the horror of the tragedy: the panic in the room, Ethel Kennedy trying to help, the screaming not another Dallas, a young girl placing her "R.F.K. for President" boater on the pool of blood. “As Bobby lay there, a rosary placed in his hand, chaos ensued, and five others were shot around me,” said photographer Benson. 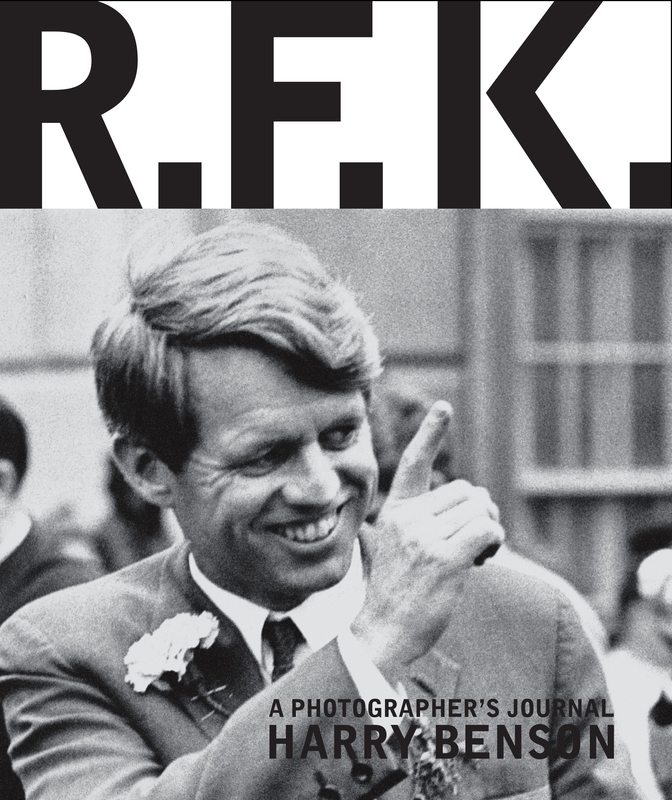 Newly released in paperback format, to commemorate the 50th anniversary of Senator Robert F. Kennedy’s assassination, with excerpts from R.F.K.’s speeches and from photographer Harry Benson’s own 1966–68 journals, R.F.K. : A Photographer’s Journal is an intimate photographic portrait and a fitting tribute to an extraordinary man, and the legacy he left behind. 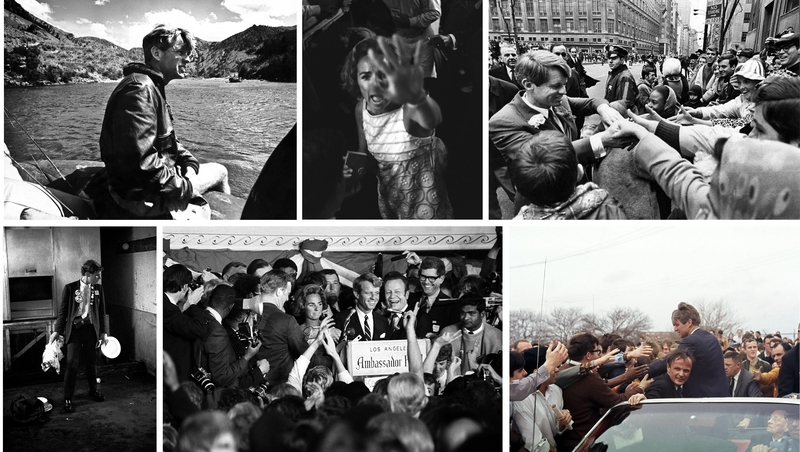 World-renowned photojournalist Harry Benson’s photographs capture unprecedented intimate family outings alongside Senator Kennedy’s brief but unforgettable presidential run, from the announcement of his candidacy on St. Patrick’s Day in 1968, to the fervor and excitement of his days on the campaign trail, all the way through his shocking assassination in Los Angeles and the long, sweltering funeral procession to Arlington Cemetery. Here are glimpses of the exhilarating successes, and finally the chaos of that tragic night in Los Angeles, and the mourning of hundreds of thousands after their hero was struck down. Award-winning Scottish photojournalist Harry Benson traveled to America with the Beatles in 1964 and never looked back. Under contract to LIFE magazine for 30 years, Harry marched with Dr. Martin Luther King, Jr. during the civil rights movement, photographed the Watts Riots, was embedded in the Gulf War, and is the only photographer who has photographed the last 12 U.S. Presidents—from Dwight D. Eisenhower to Donald J. Trump. There have been 40 gallery/museum solo exhibitions of his work, and sixteen books of his photographs have been published. In 2009 Harry was made a Commander of the Order of the British Empire by Her Majesty Queen Elizabeth II. The documentary Harry Benson: Shoot First which chronicles Harry’s 65 year career is currently on Netflix. Harry has received Honorary Doctorates from St. Andrews University, Glasgow School of Art, and St.Andrews University. In 2017 he received the prestigious Lifetime Achievement Award from the International Center of Photography. Harry's wife, Gigi, works with him on his books and exhibitions. Their two daughters, Wendy and Tessa, live in Los Angeles with their families. A partial preview is available by clicking here: R.F.K. High-res scans to your specification are available upon request; scanning from the book or lifting images from the mechanical file are strictly prohibited. Mandatory credit line: From R.F.K. : A Photographer's Journal by Harry Benson, published by powerHouse Books.